Speaking with evangelical pastors, Jair Bolsonaro says crimes of the Holocaust can be forgiven, but shouldn’t be forgotten. 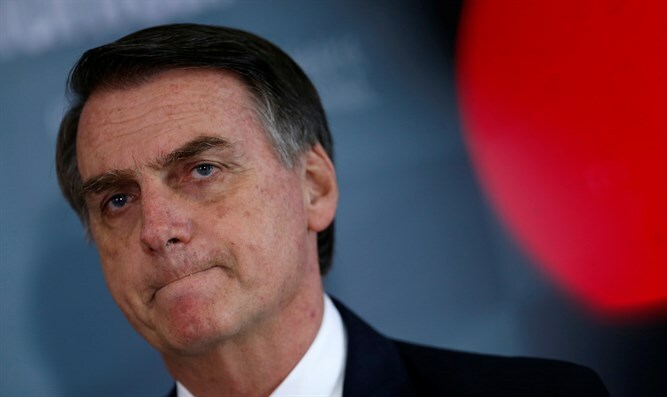 Brazilian President Jair Bolsonaro on Thursday asserted that while the crimes of the Holocaust can be forgiven, they shouldn’t be forgotten. His comments were made at a meeting with evangelical pastors in Rio de Janeiro. He was applauded by those who attended, according to The Associated Press. “We can forgive, but we cannot forget. That quote is mine. Those that forget their past are sentenced not to have a future,” Bolsonaro was quoted by AP as having said. He added that actions are needed for the Holocaust not to be repeated. During his recent visit to Israel, the Brazilian President toured the Yad Vashem Holocaust memorial in Jerusalem, following which he said that Nazism was a leftist movement. The far-right leader was asked during his visit to Israel if he agreed with a recent claim by his foreign minister, Ernesto Araujo, that Nazis were leftists.